An Oral History of the Thames Lightermen. The trade goes back to Roman times and before but was first licensed under Henry VIII 500 years ago. The profession has employed generations of Londoners with the lightermen carrying cargo and the watermen carrying passengers. For hundreds of years generations of families and communities have worked on the river with a rich history of apprenticeships, work and family life and culture developing around it. Whilst the trade for watermen dwindled with the construction of bridges, the lightermen continued to grow with London's trade up until the 1960s when containerisation and then the closure of London's dockyards led to a decline in the trade. Today far fewer people work on the Thames but for those who do, or who have retired in the past 30-40 years, there remain vivid memories and important stories to tell. This project aims to record and share some of these. 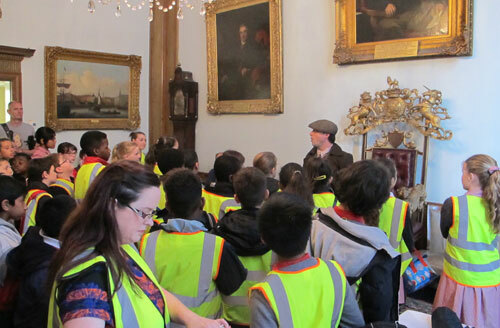 Working with arts and education charity digital-works children from St George The Martyr and Westminster Cathedral primary schools in London have been exploring this history. They have been on visits to the Museum of London, Docklands, and on a specially organised boat trip where they learnt some of the skills of the lightermen from former lightermen and went through mock apprenticeships. 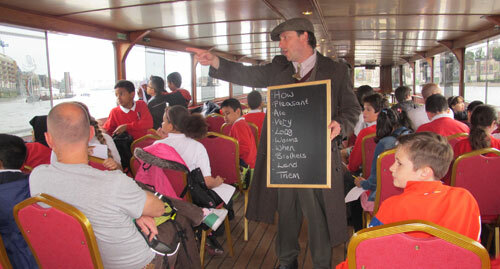 The children have written about the history and the lightermen they met in biography, prose and poetry. Then, with oral history training, the children themselves conducted and recorded on film, interviews with lightermen to discover and then share their history through a documentary film and writing. 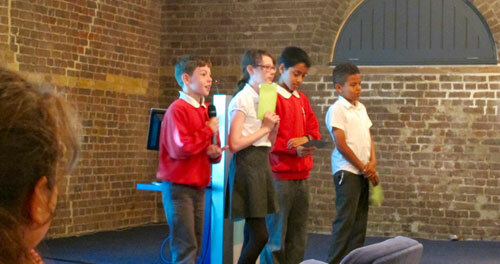 Full interviews will go to key London archives and an exhibition of photos and the children's writing will tour London. 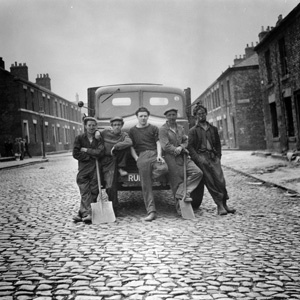 Running alongside the schools project was a reminiscence group of retired Lightermen run by Age-Exchange. This was an opportunity to explore their history and share memories. The participants were then interviewed on film by the children. 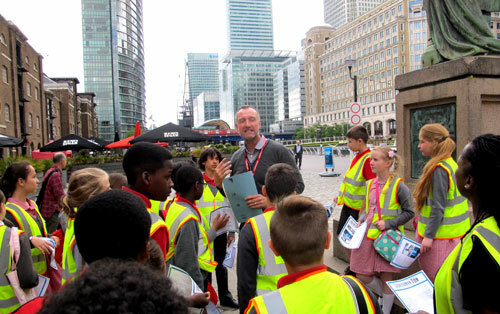 Learning material linked to the primary school curriculum is now being developed which, along with the film and visits to the Museum of London, Docklands, will enable schools across London to explore this important and wonderful history. 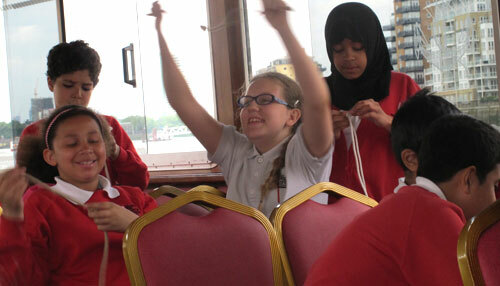 The "Tales From the Thames" project is being coordinated by arts and education charity digital-works. The reminiscence sessions are being run by Age Exchange based in Blackheath. They have an inspirational space and have a long history of establishing and supporting oral history projects and using creativity to unlock memories and to share them widely. We are very pleased to have their expertise on this project. 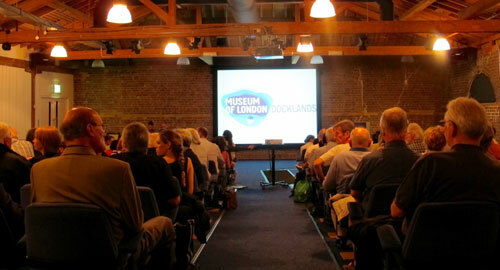 We are also working with the Museum of London, Docklands, in London with galleries and exhibitions exploring the history of the river and London's river communities. The documentary film aspect of the project will be launched there on Tuesday July 14th. The childlren will also be visiting the National Maritime Museum where a curator will introduce them to the Thames Maritime Exhibition. Thanks very much to the Lighterage Committee. Made up from working and retired lightermen, the committee is commited to supporting young lightermen. The committee both donated funds towards this project but also helped recruit people for the children to meet and interview. We are also very grateful to Watermans Hall for all of their support and contacts. They have a rich and long history tied to the trade, apprenticeships and the heritage of the Thames and have been extremely supportive of the project and have put us in touch with many retited lightermen. Thanks also to Bill Ludgrove at Thames Cruises for his support with the boat trip and for contacts with retired Lightermen. Funding has also been provided by Unite. Totally Thames is an exciting month-long celebration of London's river featuring arts, music and community festivals; colourful regattas; thrilling river races; foreshore archaeology, exploration, environmental and educational activities; as well as river-linked activities in London's 17 riverside boroughs. The inaugural Totally Thames was enjoyed by over 2.7 million people, who attended over 170 river related events throughout the month of September. This year our film be shown as part of the festival. 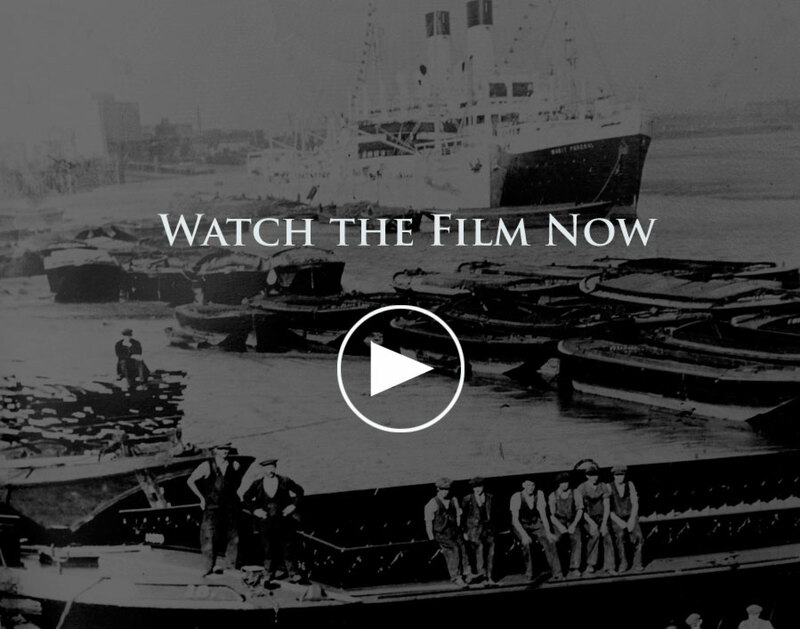 This special screening of the film will be followed by a Q&A with old lightermen. 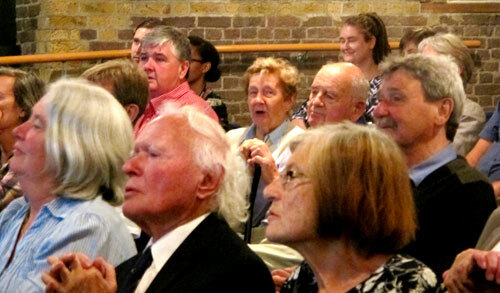 The film is being shown at the historic Watermans Hall. To find out more or to book tickets visit the festival website. The Weekend Millionaires receives it's television debut! On Monday 7th December 2016 the documentary film will be shown on the Community Channel - this is channel 63 on Freeview, Sky 539, Virgin 269 and Freesat 651. Special Screening of "The Weekend Millionaires"
For People in the Lightrage Industry - Past and Present. 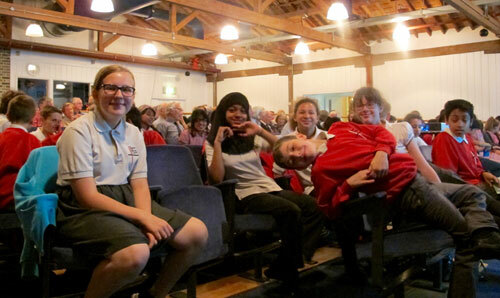 On Monday 16th November 2015 we had a wonderful reminiscence screening of the film at Age-Exchange in Blackheath. This was aimed mainly at current and retired Lightermen and was an opportunity particularly for those who were unable to take part in the project at earlier stages to get involved. Age-Exchange put on a lovely spread of food and the film was shown followed by a discussion. We were very pleased to have Ted Hunt come along, or the "legendary" Ted Hunt as he was referred to by several retired lightermen. He served his apprenticeship in the 1936, commanded 15 barges in the D-Day Landings and went on to run the Lighterage School after the war where he taught just about everyone we met. 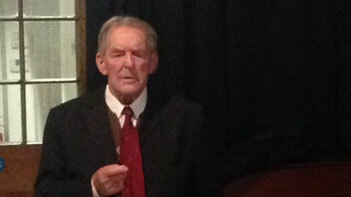 At this event he gave a talk about his time during World War Two, and also performed a poem he has written about his time in the industry. 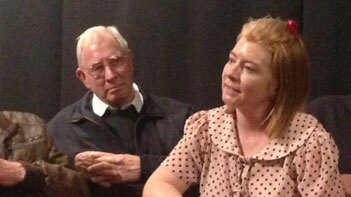 We were also very pleased to have Jane Jeffery come along. She is the first woman to go afloat - in 1994! She spoke about the problems she faced, frequently outright hostility, and how she battled through and eventually became a union rep.
We tried very hard to get both Jane and Ted to come along to be interviewed by the children during the project but unfortunately neither could make the dates, so we were very pleased to have them both come to this event and we recorded both of their funny and moving talks. We have added them to the interviews page of this website. Please excuse the quality of the audio on these two - it was a creaky floor and a one of our colleagues was busy in the background scanning old photos and documents that many people brought along with them. 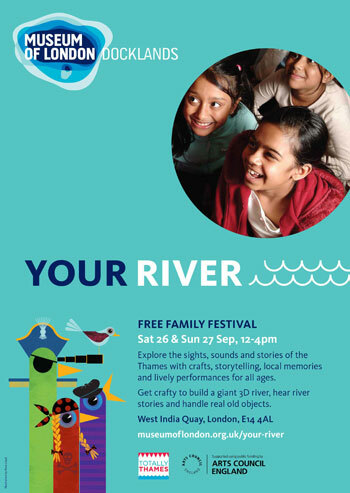 On Saturday 26th and Sunday 27th September the film, exhibition and children's writing developed as part of this project will feature in the Museum of London Docklands "Your River" festival. Alan Lee-Williams and John Barrett will also be going along to speak about their own history. It's all free and there are lots of activities planned so go along. It runs from midday to 4pm on both days. More details on this flyer or go to the Museum of London Docklands website. Thanks so much to everyone who came along. Here are a few photos of the event. The lightermen get their name from the barge or "lighter" originally towed or punted by one lighterman and a boy. Before the invention of powered boats the lightermen needed detailed knowledge of the tides as well as great strength and skill in order to manoeuvre the huge barges into place. They were used to off load ("lighten") the cargo of merchant ships delivering to the Port of London. In the nineteenth century the introduction of steam powered tug boats allowed several lighters to be towed at once, but the equation of one-lighterman-one-lighter persisted. 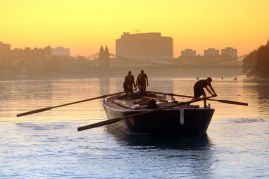 Today the historic skill and strength of the lightermen is demonstrated annually in the Thames barge races while rowing skills are used in the Doggetts race. Please have a look at the blog on this site for a diary of all that the children have been doing on this busy project, but here are some photos to give you a quick idea. There are more on the interview page of this website. 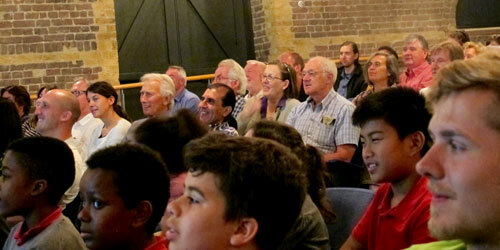 Children being put through their paces at Waterman's Hall hosted by actor playing a lighterman from the 1950s. 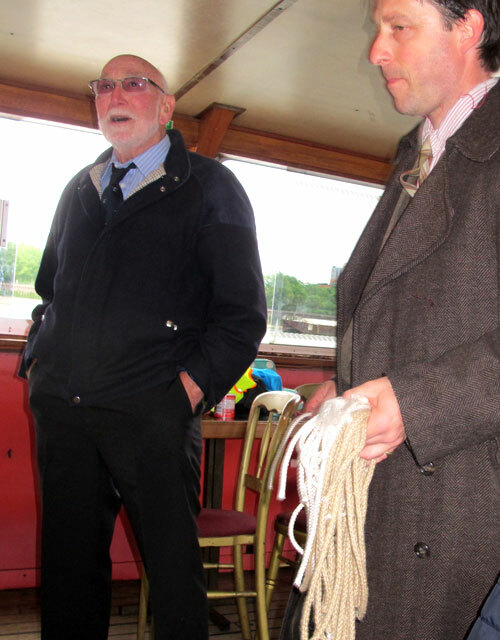 Retired Lighterman John Barrett talks to the children about his history and helps teach them how to tie a bowline during a trip on the Thames. 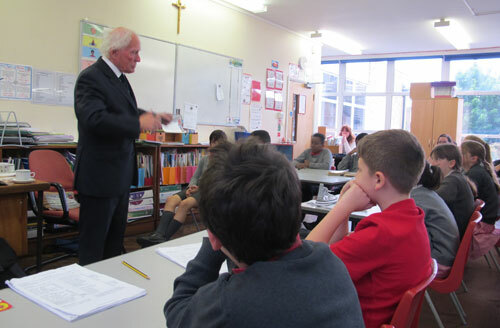 Retired Lighterman and former MP Alan Lee-Williams at Westminster Cathedral School talking to children about his history. 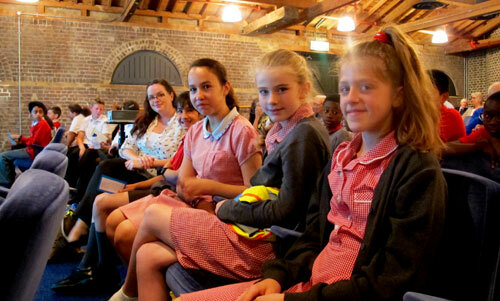 Westminster Cathedral School visit to the Museum of London Docklands. 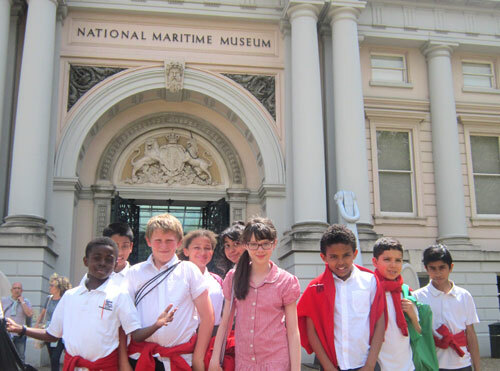 Children from St George the Martry Visit the National Maritime Museum. 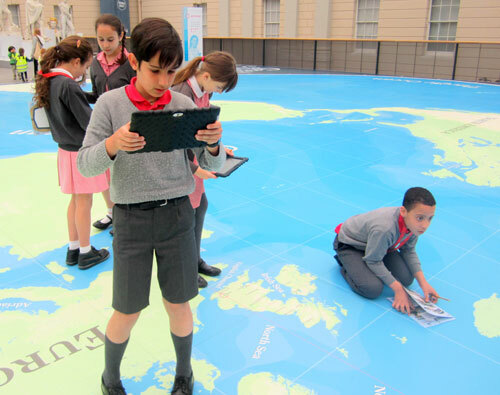 Children from Westminster Cathedral School explore the origins of world trade and how it came to the docks in London at the National Maritime Museum.